The calendar of Society events has been set for the 2019-2020 governance year. Sacramento Valley Chapter Member David Fogel, EA, CPA is alerting Members to forthcoming legislation designed to correct a drafting error regarding the definition of QIP. AB 1140 would require non-enrolled preparers to disclose costs and fees being charged to clients who are claiming either CalEITC or EITC. U.S. citizens and resident aliens who have a foreign bank or financial account must file their annual FBAR by April 15. FTB's April 2019 Tax News helps you stay ahead of the curve on issues that affect you and your clients. FTB is reminding preparers and taxpayers to take steps to protect themselves from scam artists seeking to steal refunds and identities. Data security is a necessity for every tax professional, and protecting taxpayer data is your legal responsibility. EDD is urging employers to carefully review EDD statements. Notice 2019-22 announces the credit phase-out schedule for new qualified plug-in electric drive motor vehicles sold by General Motors. The Transcript Delivery System was updated on March 22, 2019 to correct the issues in the tax transcript masking process. The latest edition of EDD’s California Employer newsletter has information about CalSavers, 2019 CA deposit requirements, and more. The IRS has clarified the tax treatment of state and local tax refunds under the TCJA's cap on the state and local tax (SALT) deduction. Publication 1345, Handbook for Authorized IRS e-file Providers of Individual Income Tax Returns, has been updated. Certain Taxpayer Advocate Service (TAS) telephone numbers are being used in a new spoofing scam. A federal appeals court has upheld the IRS’s authority to charge a fee for tax preparers obtaining and renewing a PTIN. FTB's March 2019 Tax News helps you stay ahead of the curve on issues that affect you and your clients. The Assembly Revenue & Taxation Committee has passed AB 147 to address Wayfair thresholds. Delinquent taxpayers may not be able to renew a current passport or obtain a new passport. We have many new additions to the list, including intent language for the most recent iteration of tax on services (SB 522). Employers directly affected by recent storms may request payroll relief from the EDD. The IRS has issued a reminder that full-year health care coverage must be reported on 2018 tax returns. The IRS has issued safe harbor guidance for determining depreciation deductions for passenger automobiles under the TCJA. Beginning the week of February 25, 2019, the IRS is expanding the availability of “Returns Per PTIN” to all PTIN holders. Tax professionals calling about a client’s account should be prepared to verify their identities. CSEA President Cynthia Leachmoore, EA was featured in a San Francisco Chronicle article, "Early tax filing statistics confirm fears about refunds." ational Taxpayer Advocate 2018 Annual Report to Congress identifies the most serious problems taxpayers face with the IRS. he February 2019 News for Tax Practitioners helps you stay current on the latest taxes and fees administered by the CDTFA. CSEA asked the legislature to weigh in on Wayfair and Dynamex at our annual Jim Stern Legislative Day at the Capitol, and we are pleased that they have done so. The processing of renewals for Enrolled Agents whose enrollment expires March 31, 2019 is delayed. The IRS is automatically extending their enrollment card expiration. The Treasury Department and the IRS have released the corrected draft final regulations under section 199A on the new qualified business income (QBI) deduction. The IRS has extended its transcript faxing service beyond the planned February 4 end date. FTB released its annual responses to CSEA’s formal letter and Taxpayers’ Bill of Rights Hearing testimony. You and another EA are working long hours in your office, seeing clients and preparing tax returns. Now you need to add an additional EA. What’s the best way to go about this? Let James Southward, EA and Elizabeth Huff, EA help you with this. The EDD has created a six-lesson online tutorial about classifying workers as either employees or independent contractors. The FTB is now accepting 2018 state tax returns. Susan Amaral, EA, explains how to realistically set goals for the New Year and successfully achieve them. The QBI deduction created by the TCJA allows many owners of sole proprietorships, partnerships, S corporations, trusts, or estates to deduct up to 20 percent of their qualified business income. Thanks to CSEA Members' hard work walking the hallways of the Capitol, Jim Stern Legislative Day provided tangible impact for Enrolled Agents. The IRS has released its Lapsed Appropriations Contingency Plan for the 2018 filing season, recalling approximately 57 percent of furloughed IRS employees. Full time EA or CTEC for tax season & possibly beyond for individual & business returns. We are located in Milpitas; full benefits package for permanent employees. Expertise in ProSeries, Excel, QuickBooks helpful. Resumes only to Karen@KHahnCPA.com. 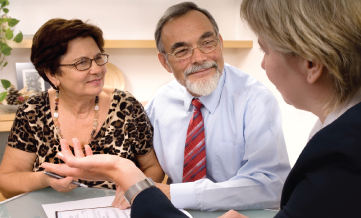 January 26, 2019 is Tax Help Day, when local Enrolled Agents, “America’s Tax Experts,” meet with taxpayers at locations throughout California to answer questions on a wide variety of tax topics. Rev. Proc. 2019-9 identifies circumstances under which the disclosure on a tax return with respect to an item or position is adequate for the purposes of the accuracy penalty of IRC §6662 and the return preparer penalty under IRC §6694. The IRS has reported an uptick in business email compromise / business email spoofing (BEC/BES) phishing emails targeting tax professionals, which involve payroll direct deposit and wire transfer scams. Recent legislation extends the California Tax Education Council (CTEC) program until January 1, 2023, and impacts CTEC Registered Tax Preparers. The IRS has outlined common errors that delay processing of Centralized Authorization File (CAF) numbers, and steps tax pros should take to help protect their CAF numbers. Beginning January 1, 2019, noncompliance penalties will be charged on certain forms and payments submitted by paper. The IRS will end its tax transcript faxing service as of February 4, 2019, and offer a more secure alternative to taxpayers and tax professionals. Selling Palm Springs area tax practice servicing approximately 375 individual and 15 business tax returns, grossing approximately $90,000/year. Asking $110,000 with terms. Contact lewdasilva@aol.com. Established Carlsbad Enrolled Agent seeks to purchase North County San Diego practice/client list to augment own practice. Seeking Business, Individual, Trust, Payroll clients – $25k-$100k. Email Maureen@mteataxaccounting.com or call 760-828-7931. As you make progress with the management of your practice, you may find it advantageous to purchase another practice. Let James Southward, EA and Elizabeth Huff, EA help you with this important task. The IRS has issued final regulations expanding paid preparer due diligence requirements to head of household filers. The additional requirement will apply starting with 2018 returns prepared on or after November 7, 2018. 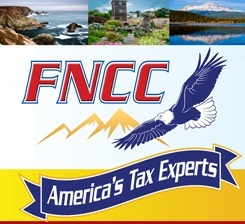 Tax Office in Temecula, CA is looking for a seasonal F/T experienced tax preparer. EA or CTEC registered. Candidate must live locally, be flexible and able to work long hours. Bilingual preferred. Please send resume to Jchtaxgroup1@yahoo.com. Tired of California? Buy this tax and accounting office on the beautiful Kenai Peninsula, Alaska. Established 20 year business. Please call 907-399-7180 or email nrmngreene@yahoo.com. In an informational meeting held last Wednesday, October 24, CDTFA made clear its plan to move forward with the implementation of the Wayfair v. South Dakota Supreme Court decision without input from the California Legislature. Seeking a qualified person to fill a part-time or full-time position during tax season in a tax preparation office in Richmond, CA. Preference for CPAs, EAs or other licensed preparers. Send cover letter and email to corcap1@pacbell.net. FTB's monthly Tax News helps you stay up-to-date on important issues that affect your tax practice. 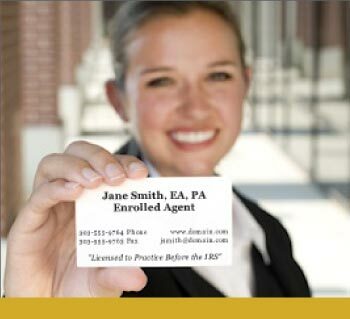 Enrolled Agent needed for tax season and possibly beyond for a F/T position. We are a busy and growing firm. Our firm offers competitive pay, health insurance and training on tax software. Send resume to joe@modicafinancial.com or call 805-461-5903. Busy Burlingame EA office seeking personality match. Ideal candidate will have years of tax/life experience, enjoy interacting with and giving advice to clients. This is NOT a back office job. Send resume to clayton@claytonpattersonea.com. 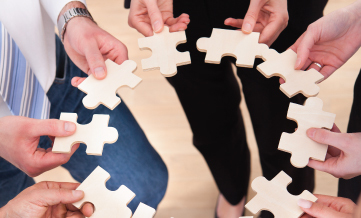 Chris de Lorimier, EA, MBA shares insights on how membership in CSEA contributes to the progress, connections, and success of Enrolled Agents. Are you thinking of starting your own tax practice? Do you have the entrepreneurial spirit? Can you put in the time? Let James Southward, EA and Elizabeth Huff, EA help you with these and other crucial questions. Small Burlingame CPA firm seeks Seasonal Tax Preparer for upcoming season. Great opportunity for recurring seasonal work for individual who wants to continue working but have flexibility the rest of the year. Visit the California Tax Service Center for cannabis business tax information. Cybercriminals often leave very few signs of their intrusion, so tax preparers might not even realize that client data has been stolen until fraudulent returns are filed. The 2018 legislative calendar is over and the Governor has finished signing bills. CSEA had some notable advocacy victories this year. The IRS is warning taxpayers to beware of scams ahead of the October 15 tax-filing extension deadline, including threatening phone calls and email phishing schemes. The IRS has issued Notice 2018-76 providing transitional guidance on the business expense deduction for meals and entertainment following law changes in the Tax Cuts and Jobs Act (TCJA). Eligible employers who provide paid family and medical leave to their employees may qualify for a new business credit for tax years 2018 and 2019. Certain veterans who received disability severance payments after January 17, 1991, and included that payment as income, should file Form 1040X to claim a credit or refund of the overpayment attributable to the disability severance payment. Employer payments or reimbursements in 2018 for employees’ moving expenses incurred prior to 2018 are excluded from the employee’s wages for income and employment tax purposes. CSEA offers many important awards that recognize and honor those individuals who have gone above and beyond in the service of their Society and their Chapters. Without your nomination, these dedicated volunteers might go unrecognized. CSEA conducted another round of productive governance meetings on Saturday and Sunday, September 22-23 at the Sheraton Grand Sacramento. The Society also welcomed Derek Ganter, IRS Area Manager Stakeholder Liaison Field Operations. Notice 2018-77 announces the special per diem rates effective October 1, 2018. 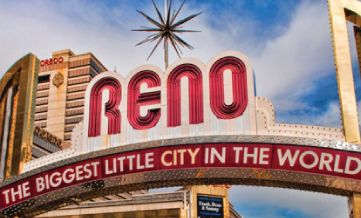 Nevada is now permanently enjoined from taking any action to enforce Nevada Revised Statutes (NRS) 240A, cash bond or security bond requirements, against EAs. Improve data security awareness for yourself and your employees with this free webinar, Protect Your Clients, Protect Yourself: Tax Security 101 on October 24, 2018, at 11 a.m. PT. Grow your practice through an acquisition. Two tax practices for sale in San Francisco (grossing $82k and $111k) and a bookkeeping practice for sale in Daly City area (grossing $434k). Contact Ken at 408-598-3009 or email kberry@prohorizons.com. Looking for a succession plan? Home-based EA in Clairemont/San Diego looking for boutique practice or client list. Call Heather at 619-567-9829 or heather@papyrus.tax. Annual gross revenue - 180k & growing. Located in Grays Harbor Co. WA. Well established - 70 years+. Bookkeeper in place. EA or CPA preferred. Contact Mike at (714) 585-9323. 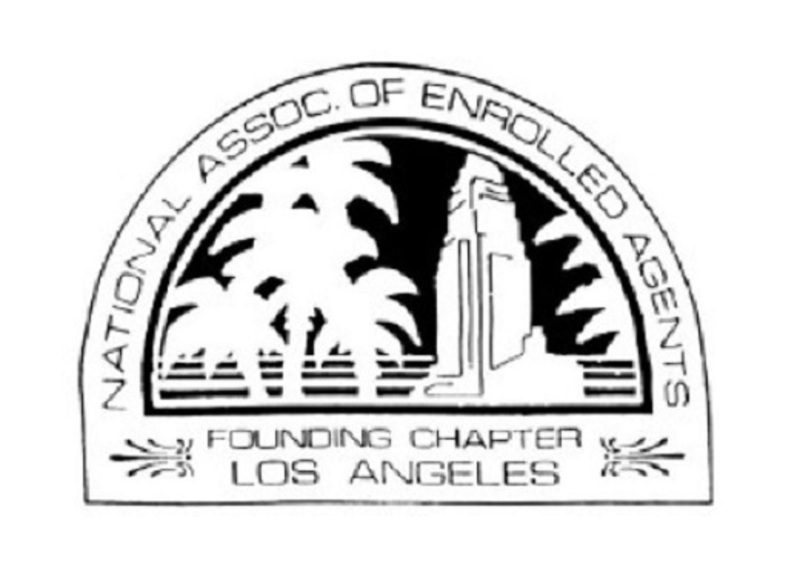 Nevada Society of Enrolled Agents (NVSEA) President Janet Vick, EA has provided a status update on the battle to preserve the rights of EAs in Nevada. 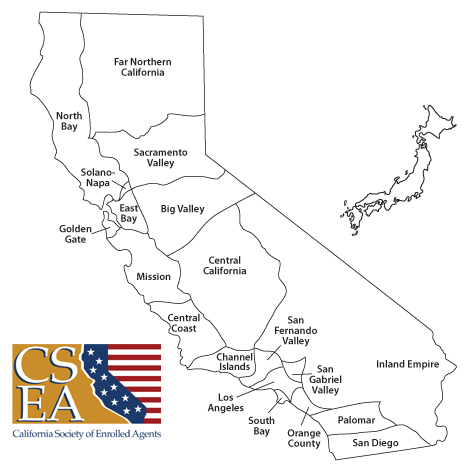 East Bay Chapter Member Mary Geong, CPA, EA has been appointed to the California Board of Accountancy (CBA) by Governor Jerry Brown. On July 17, 2018 the IRS hosted the Sacramento area Practitioner Liaison Meeting (PLM), facilitated by Senior Stakeholder Liaison Marc Zine. The IRS and its Security Summit partners are reminding tax pros that their staff plays a crucial role in protecting client data. The Treasury and the IRS have issued proposed regulations regarding charitable contribution deductions when the taxpayer receives or expects to receive a corresponding state or local tax credit. Starting September 23, the IRS will replace the current format of the individual tax transcript products and introduce a new tax transcript with redacted formatting. Remember to Sign-in to your account to unlock your members-only resources. Tap into the power of personal connections! CSEA's partner on the national level, NAEA ensures you have a voice in Washington, DC protecting your profession and advocating for sound tax policy.